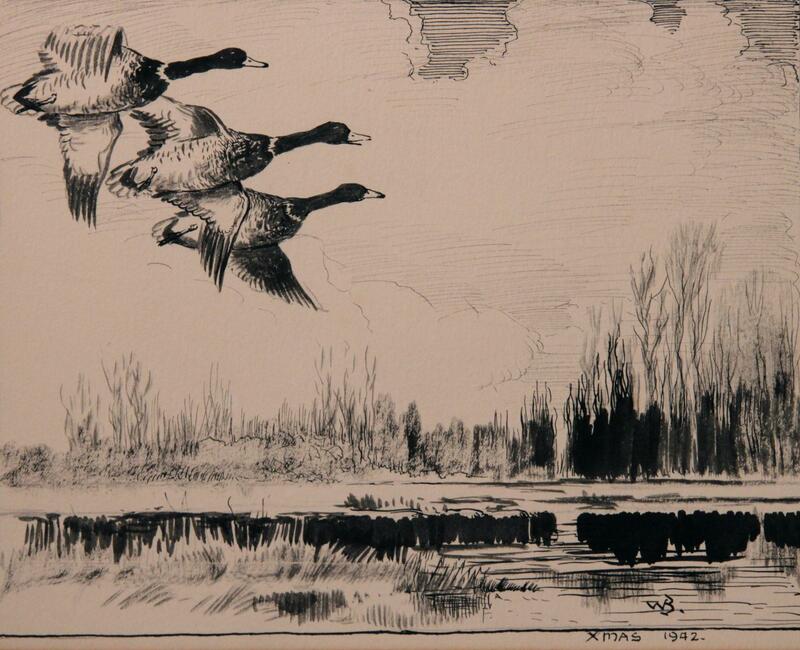 Pen, ink and grisaille watercolour study of three Mallard ducks in flight across readed marsh lake by Reuben Ward Binks (1880-1950). Signed "WB" and titled "XMAS 1942". 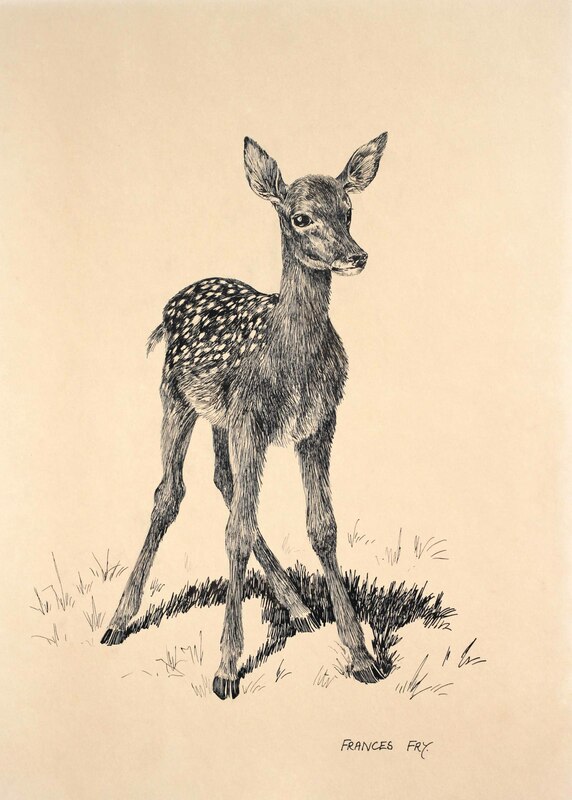 The work was the artist's study for his 1942 Christmas card. 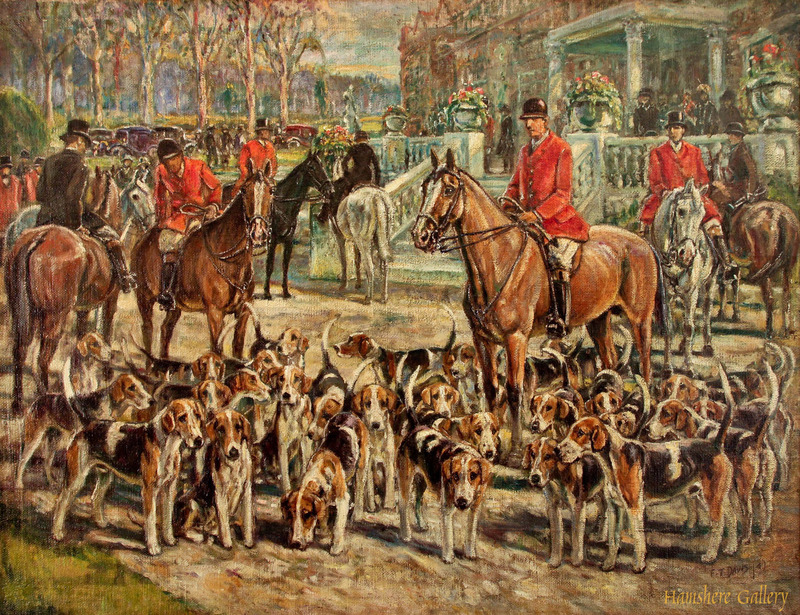 Oil on board of Foxhounds by Thomas Frederick Daws RA(English , 1878-1956) . Signed and dated "F.T Daws /41". 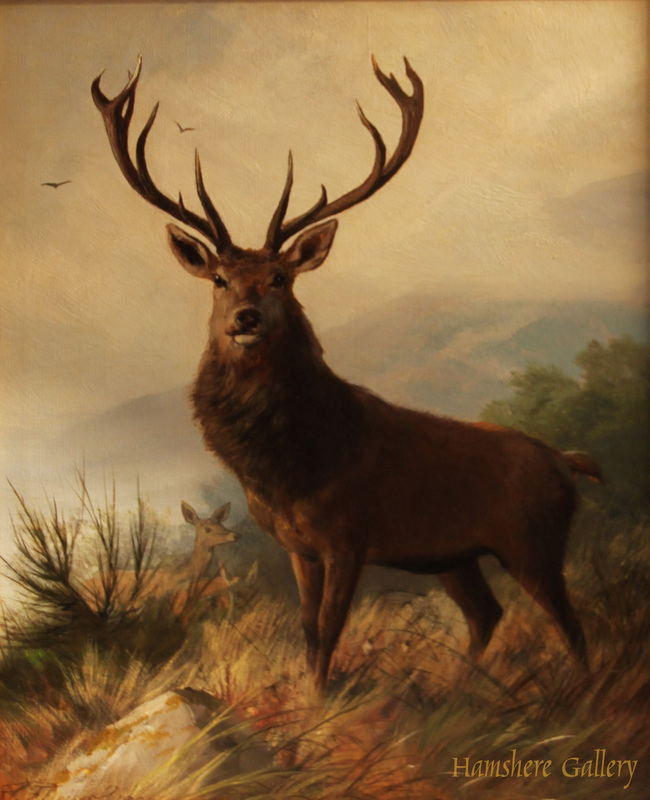 6 ) Oil on canvas hunting scene, unsigned. English Circa 1900. 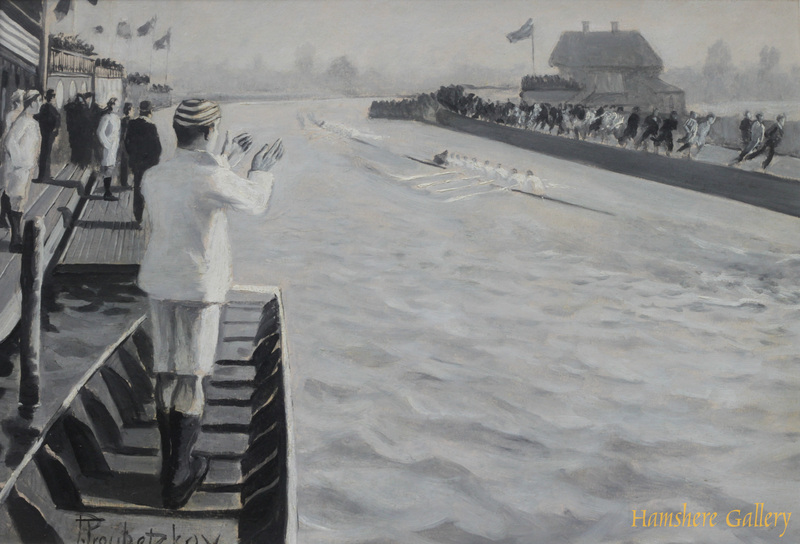 A coaching oil by Cecil Charles Windsor Aldin RBA (English, 1870-1935). The coach and four blinkered horses with seven up travelling at speed chased by white terrier. English circa 1910. 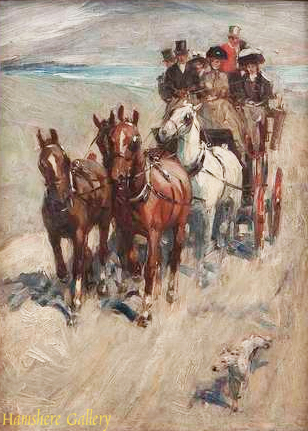 Known for his coaching prints and such coaching books as "The Romance of the Road the Story of Inns, Roads, Coaches and Travellers", such oils are rare. 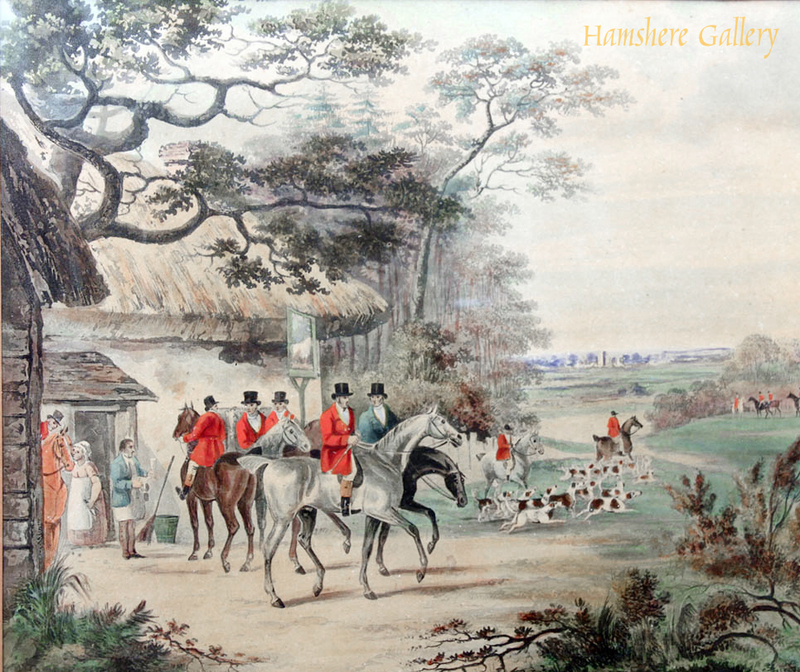 A set of four hunting oils on canvas by Charles Waller Shayer (English, 1826-1914) and Henry Shayer (English, 1825-1894). 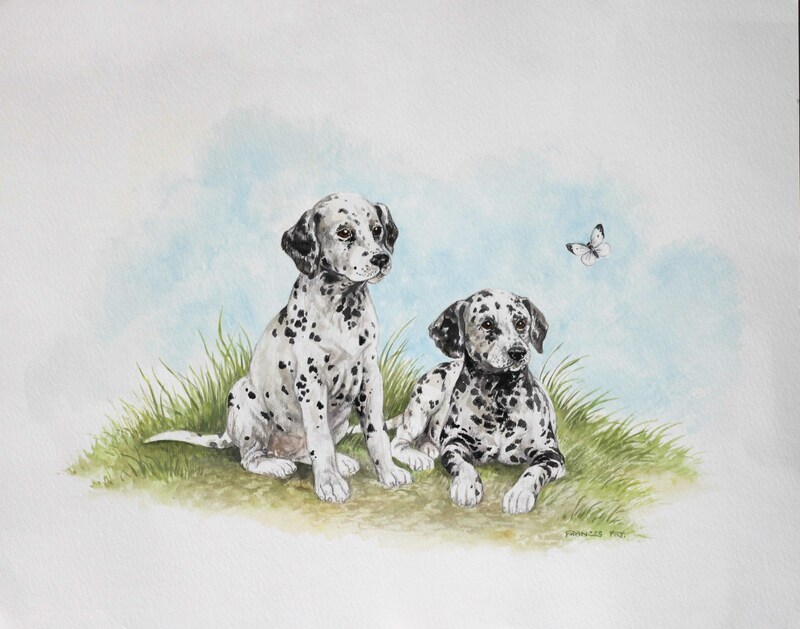 "The Meet", "Over the Ditch", "Finding the Scent", and "The Kill". All signed bottom lower left "H. & C. Shayer". 12 ) Oil on canvas of a coaching scene the "Warwick Star" by Henry Frederick Lucas-Lucas (1845-1943). 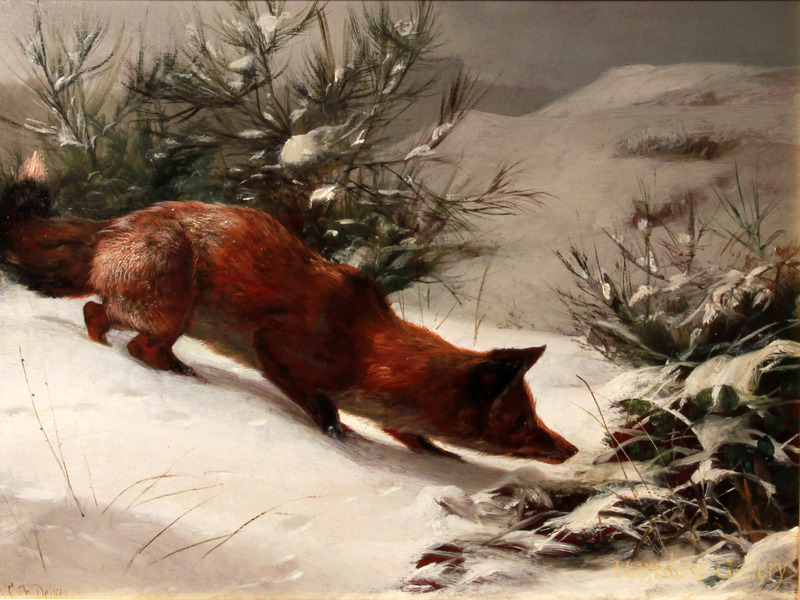 An oil on canvas of a coaching scene the "Warwick Star" by Henry Frederick Lucas-Lucas (1845-1943). 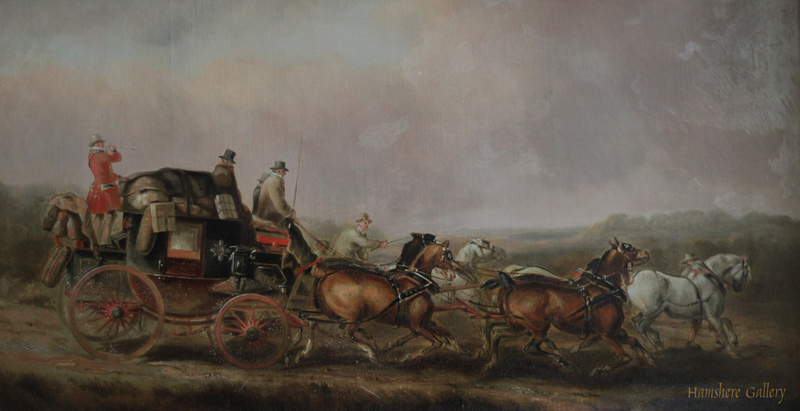 This four in hand coach passes the famous ruins of Kenilworth castle and the church at Kenilworth, and it was clearly painted when Henry Frederick Lucas-Lucas was living close by at Rugby. Signed bottom right "H F Lucas Lucas" and dated �99�. The reverse bearing label: "Messrs Fores Repository of Works of Art 41, Piccadilly, (corner of Sackville Street,) London" Messrs Fores of Piccadilly were famous for publishing English sporting prints. Henry Frederick Lucas-Lucas was published by Fores. 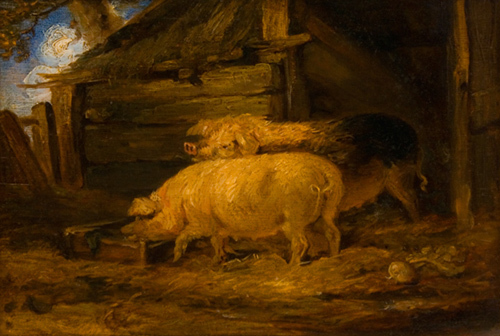 Fores who clearly acquired this oil painting from the artist. English, circa 1899. 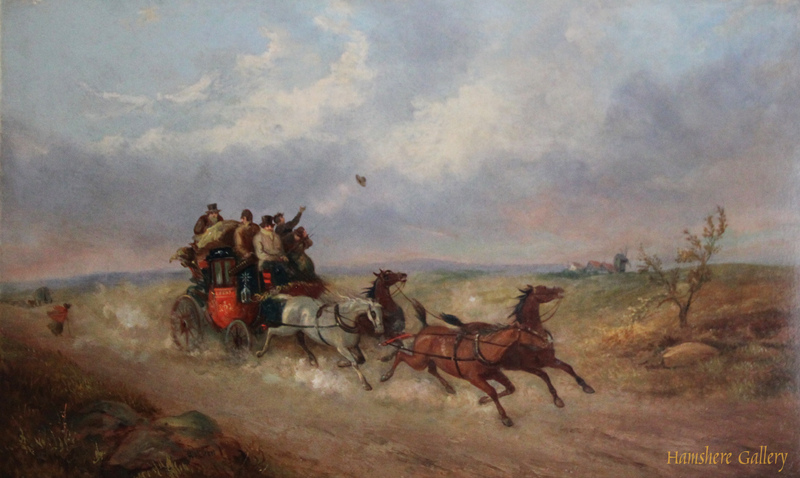 A mid 19th century oil on canvas of the Brighton Royal Mail at speed overtaking a farm wagon by Charles Cooper Henderson (English, 1803-1877). Signed with monogram to the door of the coach "CH". 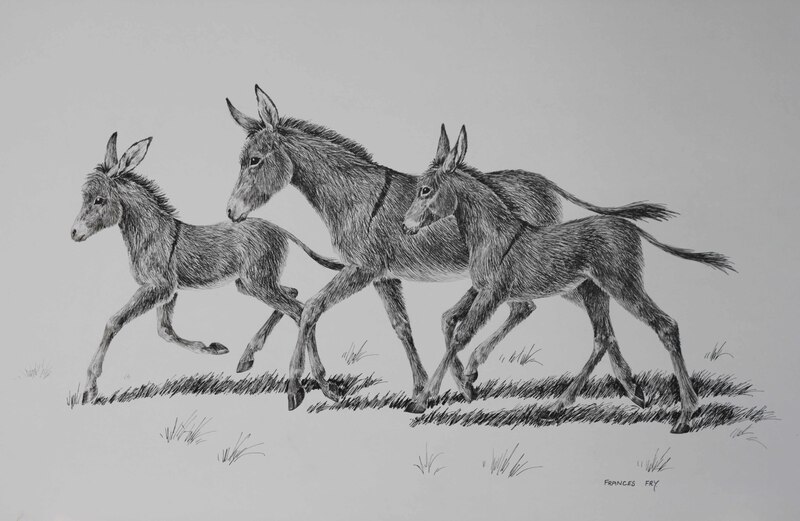 Provenance: . 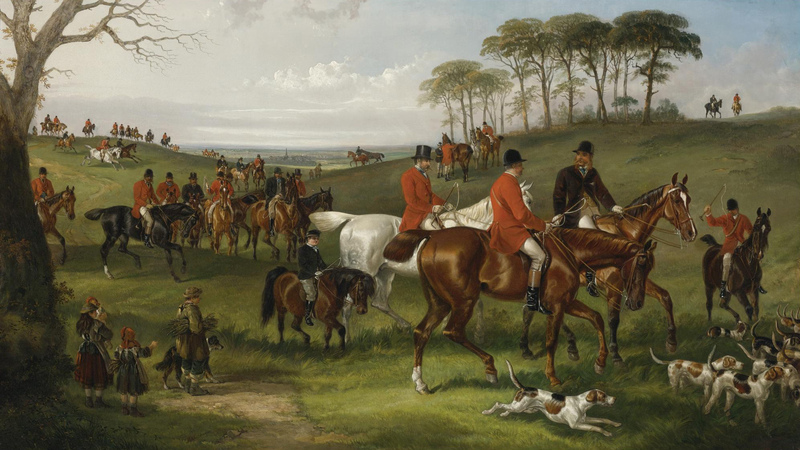 "An Exhibition of Fine English Sporting Paintings and Engravings" Arthur Ackermann & Son Ltd, "18th October - 9th November 1979".